Images of examples of each are shown at the bottom of the question, in order. Assuming that any of these has the same electrical input power, and given that they must all eventually be 100% efficient at converting electricity to heat, any advantage or disadvantage must relate to the way that they transfer the heat to the room. Is one type clearly better? If not, what are the advantages and disadvantages of each? The important thing here is to realise what these heaters heat. Radiative heaters radiate infra-red light which strikes objects and heats them directly, heating the intervening air less. Fan heaters primarily heat the air in the room by forced convection. Oil filled radiators, work like ordinary central heating radiators, primarily heating the air in the room by natural convection. If you are heating a space with ventilation but no heat recovery (you open a door or window regularly, or have a draught) then a fan heater or radiator would be less useful than a radiative heater. Much of the heat you generate will escape with the air which escapes. If you are in a space where there is little likelihood of hot air escaping, but where the walls are thin and poorly insulated, then a fan heater might be better. While some of the heat from the radiative heater will strike you and heat you directly, the energy which hits the walls will be divided between radiating back into the room and escaping through the wall. In a well insulated room with little escape of air, there would be negligible differences between the different methods other than perceptual ones. It is usually recommended that radiative and fan heaters are not left running when unattended. Even when an oil filled radiator is rated for unattended operation, care should be taken, as with any heating device, that nothing flammable is left close to or in contact with the heater. 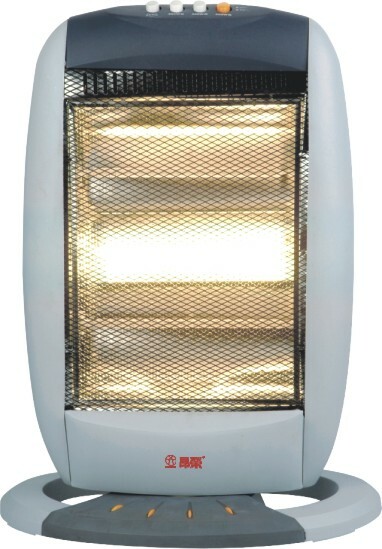 Care should also be taken with these heaters when used in a room where people are sleeping. If there is any chance that they could be knocked over, or bedding/clothes could fall on them and pose fire risk, do not use the heater. Finally, in kitchens and bathrooms, only use appliances rated for use in those rooms. Moisture in the air could cause a heater not rated for those environments to fail, posing an additional fire risk. From personal experience, I always feel warmer in front of a radiative heater, and they certainly produce less noise pollution than fan heaters, so are more pleasant to be around. Both are more controllable than oil filled radiators, so you get heat out of them sooner after you need it and waste little heat when you no longer need it. The way to use a heater like this is on demand. I don't normally heat my bathroom, but I turn on my bathroom IR wall heater before I get in the shower so it is up to full heat by the time I get out of the shower. The infra-red heat keeps me nice and warm in those those crucial moments between stopping the hot water flow and towelling off the rapidly cooling water. I then turn off the heater as I leave the bathroom, having wasted little electricity unnecessarily heating it. I have never understood why people replace IR wall heaters in bathrooms with fan heaters. I find that they can never warm up the air in the bathroom enough during the time you are showering that you don't feel cold during the towelling. I know that IR heaters are seen as old technology, but they work very well, are as 'efficient' as every other electric heater and are far more reliable than fan heaters. I have never had a fan heater last for more than a decade, but the IR heater in my bathroom has been working for over four. I'll take a slightly different line to Mark Booth's excellent answer. 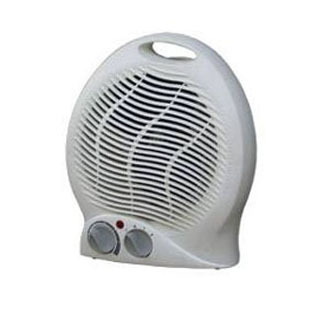 fan heater: If you've got a lot of still air, and / or if you only want the heater on for short bursts, then the fan heater is probably best, because it will get the warm air circulating in the room, and it will respond quickly to being turned on and off. However, dust can settle on the heating element, and you can't reach it to clean it, so you get the smell of burnt dust. oil-filled radiator: If you want a slow-to-respond heater that will have a lot of thermal mass, so it will warm up slowly, and cool down slowly, that will give comfort advantages, but if you turn it off when you no longer need the heat, it will continue to radiate for some time, as the oil in it cools down, and that could be a waste of energy. If part of the heater's duty will be to help dry clothes, this radiator might be your best option. infra-red lamp: If it's for a room where you'll spend a time with a lot of skin exposed, and if you're ok with the air being relatively cold but your skin feeling warm (like being in full sun on a winter's day), then the infra-red heater is the thing. When it comes to safety (eg for a heater used in a child's bedroom, or someone sleeping), I would never use a fan heater or bar heater because of the fire risk should the device be knocked over, covered, or an item put in front. I'm reasonably comfortable using an oil filled heater or wall-panel heater though, but I wouldn't go without having a smoke alarm in the room that's been tested. Unfortunately oil heaters are terribly inefficient, as much of the heat rises to the ceiling where it is lost with little benefit. Also, twice I've had fan heaters fail where the fan stopped working but the heater part continued to operate. If I wasn't there, perhaps they would have caught fire? I would never leave one running unattended. I find that when I'm working on a computer in a cold house, occasional use of a fan heater pointing under my desk/table seems by far the most efficient. Usually it only needs to be run on half power, and even then only sporadically. The oil heaters at least mine pull a large amount of energy 1200 watts a piece i have 2.. I use 2 halogen heaters now.. heats faster and lowers my energy bill. Also you can warm up super fast by standing in front lol not with oil, and having 2 oil heaters and other electronics on same line throws breakers when the extra 2400 watts kick in together. 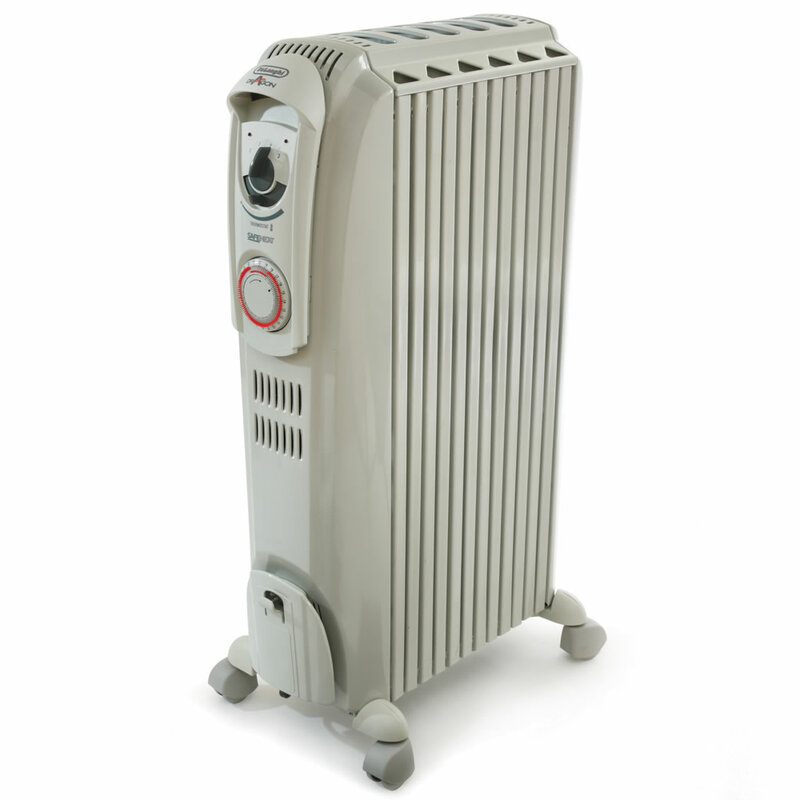 Which type of portable heaters are best suited to use in a static caravan?